Arsenal currently occupy fourth place. Here, Press Association Sport looks at how that race is shaping up. Two months ago Spurs were still being talked about as title contenders so the very least they must achieve now is a top-four spot. However, only three points separate them from sixth-placed Manchester United. Of their remaining five fixtures, the trip to Manchester City is the most testing and they have three matches at home. The only downside is Harry Kane is potentially out for the rest of the season with an ankle problem. The Gunners have been far from convincing in their last two league matches, a 1-0 defeat at Everton and the 1-0 win over 10-man Watford. 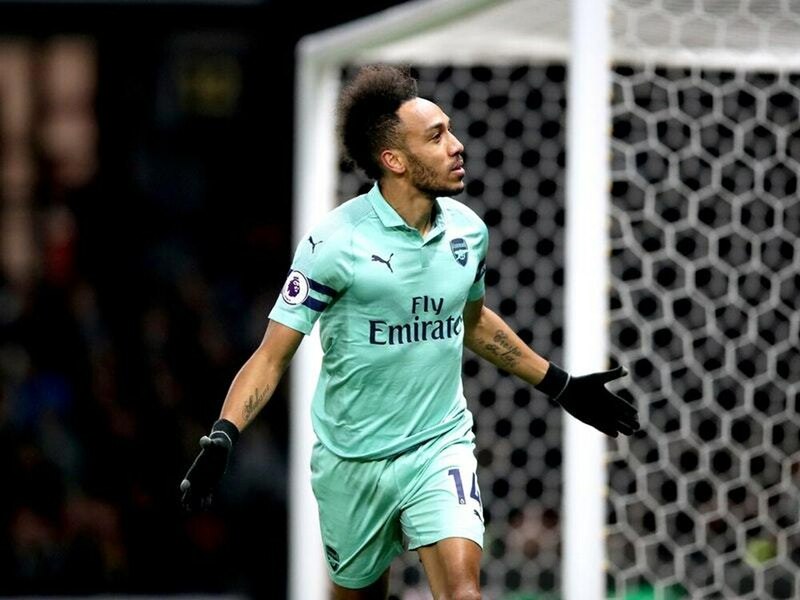 The victory at Vicarage Road was only their sixth away from home in the league this season and with only two of their final five matches at the Emirates, there will still be a concern. Trips to Leicester and Wolves look potential stumbling blocks but Arsenal do have the backstop of winning the Europa League to secure a return to the Champions League next season. Maurizio Sarri’s side are the ones at a disadvantage as they have played one more game than all of their top-four chasing rivals. What will be pivotal to their hopes is the trip to Old Trafford at the end of the month and the form of Eden Hazard, who has been one of only a few players firing on all cylinders recently. Striker Gonzalo Higuain has scored just once in his last 10 matches and his January loan signing has failed to provide the impetus needed. They too have the possible safety net of the Europa League. A dip in form – two defeats in four league matches – has slowed down the Ole Gunnar Solskjaer juggernaut which appeared to be driving United back into the top four after languishing outside of it for so long under predecessor Jose Mourinho. On paper they have the toughest run-in of the contenders, heading to Everton on Sunday before hosting Manchester City and Chelsea in back-to-back games. If they cannot win at least two of those three then matches against bottom-three sides Huddersfield and Cardiff may come too late to save them. Key to it all is likely to be the form of midfielder Paul Pogba and forwards Romelu Lukaku, Anthony Martial and Marcus Rashford.